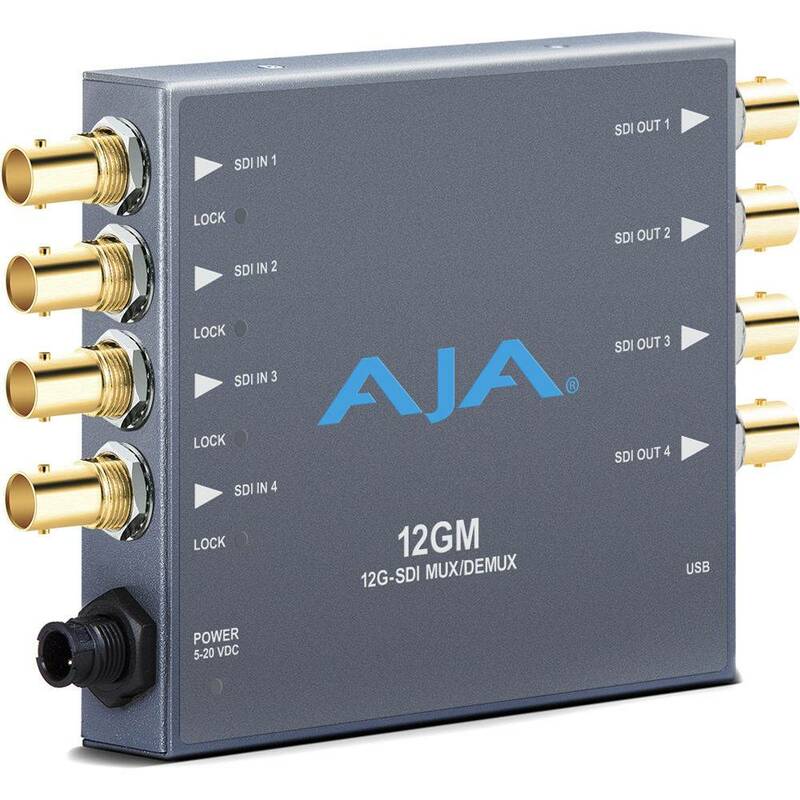 AJA's 12GM is an SDI standard converter. Resolutions up to DCI 4K are supported, so Quad 3G-SDI can be converted into 12G and vice-versa. Multi-link signals can now be combined to run over fewer cables, and newer standards can now be backward compatible with legacy SDI gear. All signals are re-clocked and amplified to ensure signal integrity over long cable runs.